Some recipes don’t require much introduction. 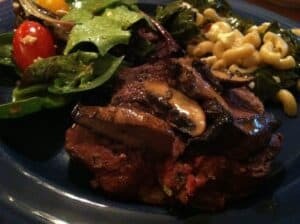 I’d put this Filet Mignon with Grilled Portobello Mushrooms in that category! A great cut of steak like this doesn’t need much to make for a special meal. 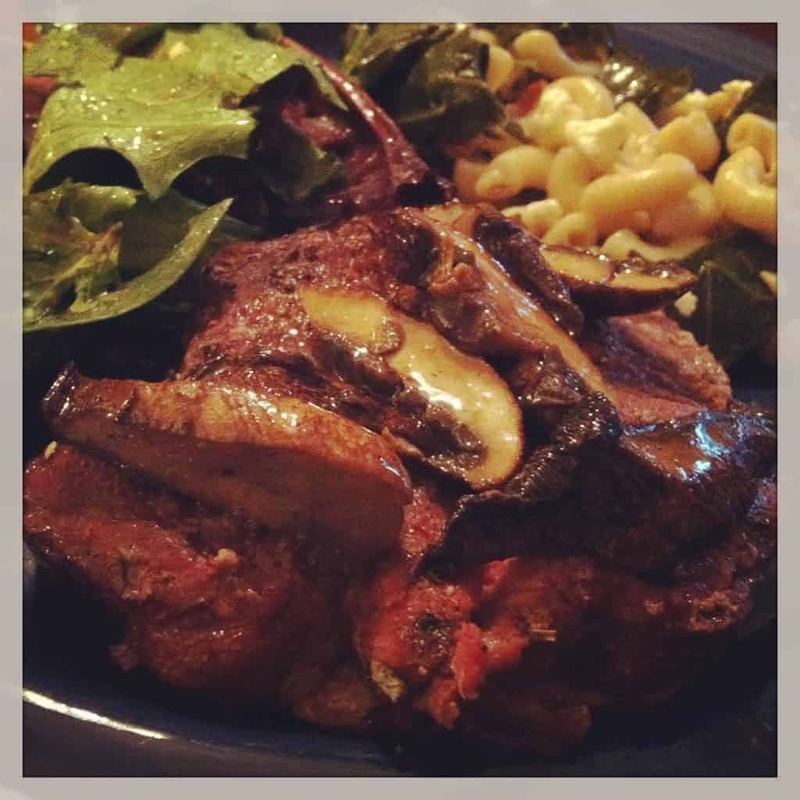 One could simply grill it with the rub, but the mushrooms make a nice addition to the flavor. Save this one for a time your looking for a special yet simple summer meal! Combine the rub ingredients in a small ball. 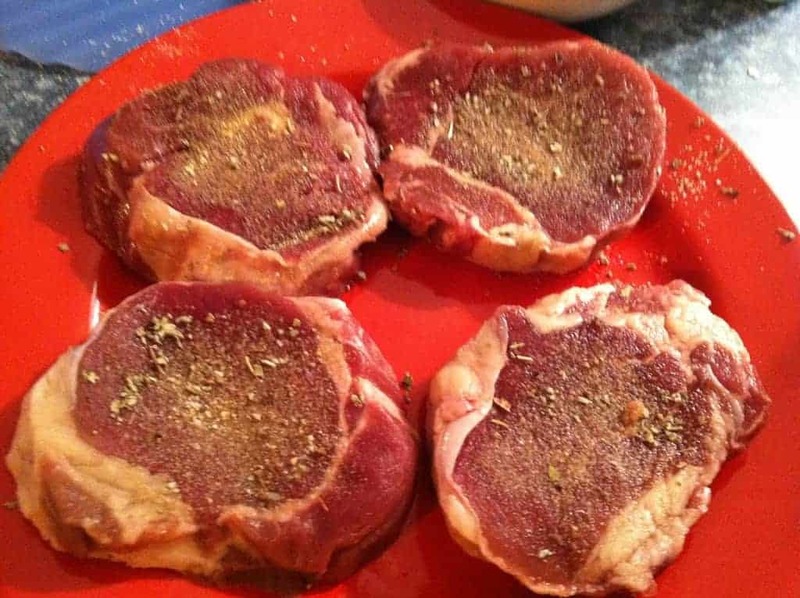 Rub both sides of the steaks so that it is lightly coated with the mixture. Heat the grill to medium high, and let the steaks sit with the rub for about 10 minutes. Spray both sides of the mushrooms, then place them on the grill. After about 5 minutes, flip them over. Put the steaks onto the grill at this time. The mushrooms take about 10 minutes total to get cooked through, they should be nice and tender. Keep an eye on them so they don’t shrivel up too much. Remove the mushrooms when done, let them cool a bit on a plate. Slice the mushrooms thinly when cooled slightly, toss them in a bowel with the olive oil and vinegar, along with salt and pepper to taste. Put the bowl of mushrooms at the table to serve on the the steaks. 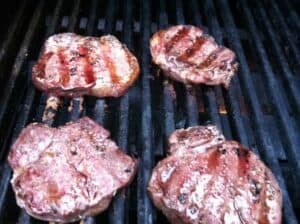 The filets take about 4 to 5 minutes per side to get to medium rare. Keep a close eye on them, you don’t want to overcook filet mignon! Remember they will cook a bit more as they rest. Remove from the grill when cooked the way you like, let stand for a few minutes before serving topped with the mushrooms. 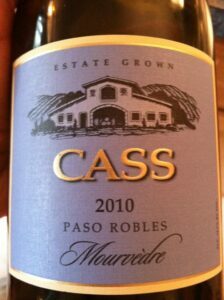 Wine Pairing: I’ve really enjoyed the Cass Winery Grenache a few times, but Ray at Pairings Wine and Food had told me the 2010 Cass Mourvedre is even better. It’s also about $10 more ($35ish total) so I waited to try it with a special meal. The filet mignon definitely qualified! I didn’t capture tasting notes but just remember thinking the wine was a real treat and good match for the meal. 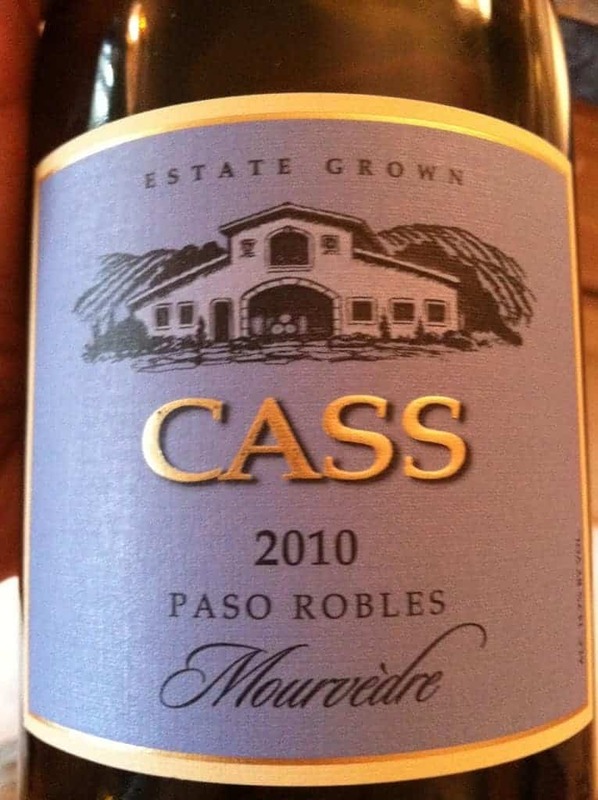 Cass Winery provides a shining example of the high quality wines produced in Paso Robles, often giving traditional French varietals a tasty twist in the California sun. Cass is part of the SIP Certified network, meaning they use sustainable practices producing their wines; another reason to enjoy them.